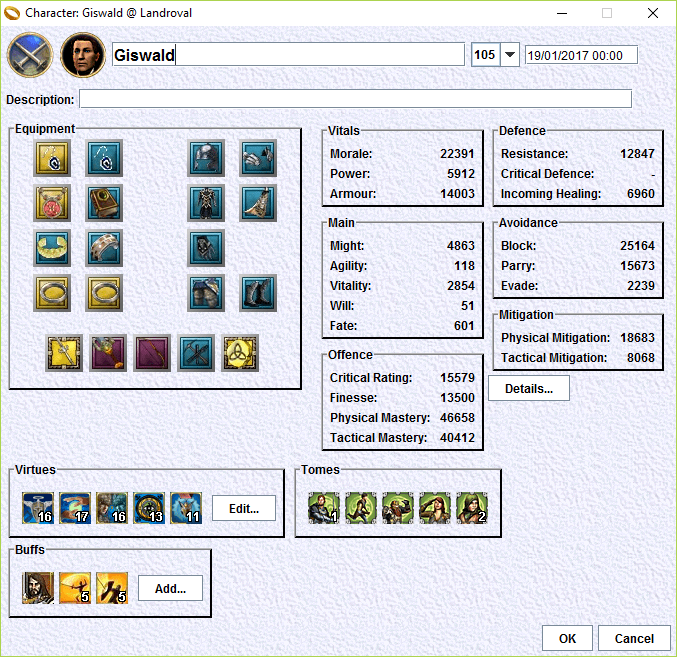 Glumlug has created a Java based interface called LOTRO Companion which allows you to plan your character builds and track progress. 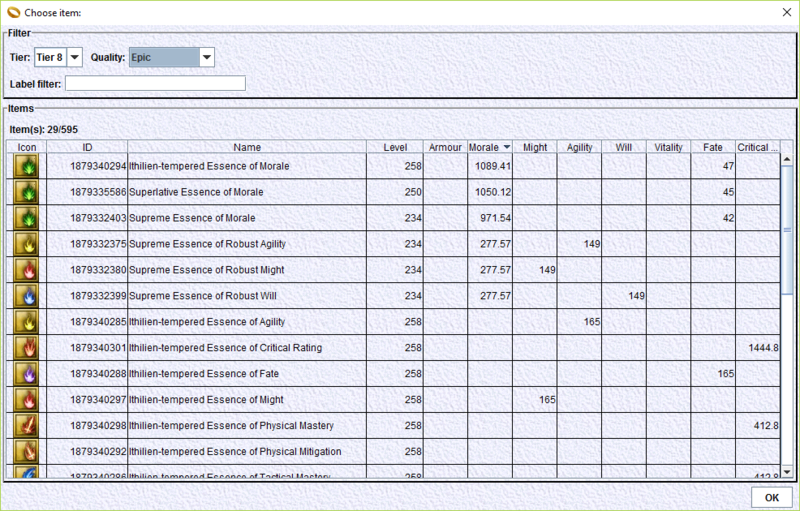 Effectively it is a version of StatCalc by Polymnie / LOTROPlan by Giseldah. 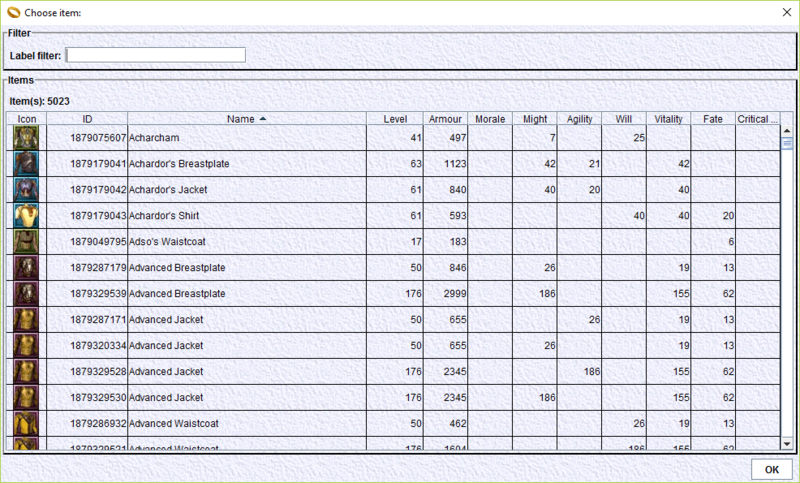 The database has all items currently in the game and has an easy search function to find them. 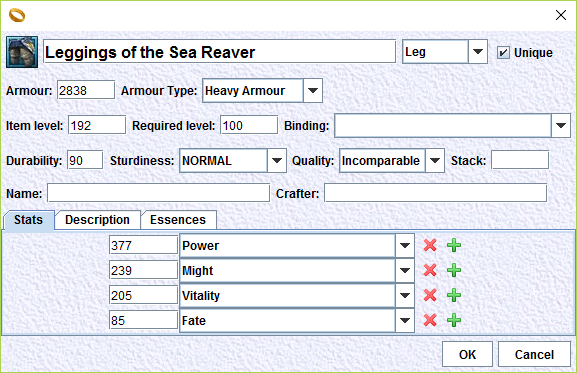 You can equip your character with what you currently have and then change gear, virtues, tomes, etc. 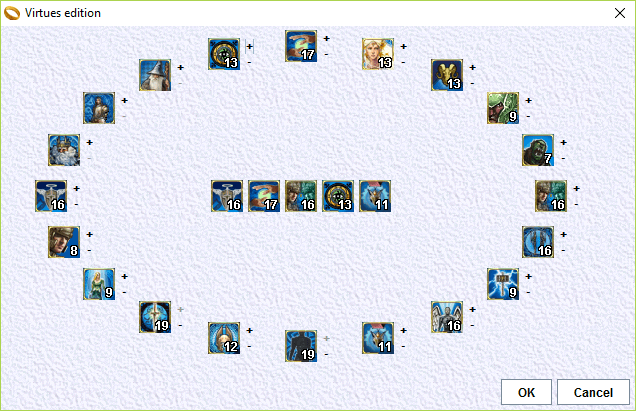 to see how it affects your build. 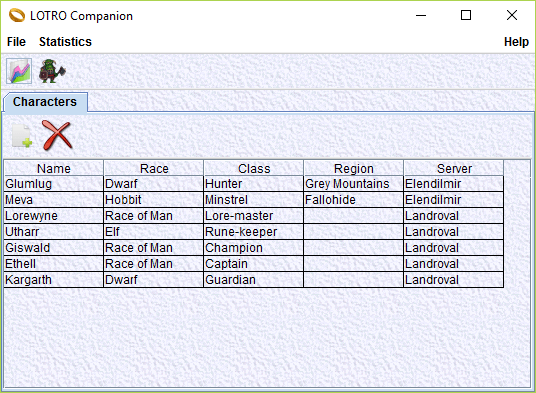 I have released a new version of Lotro Companion (7.0).